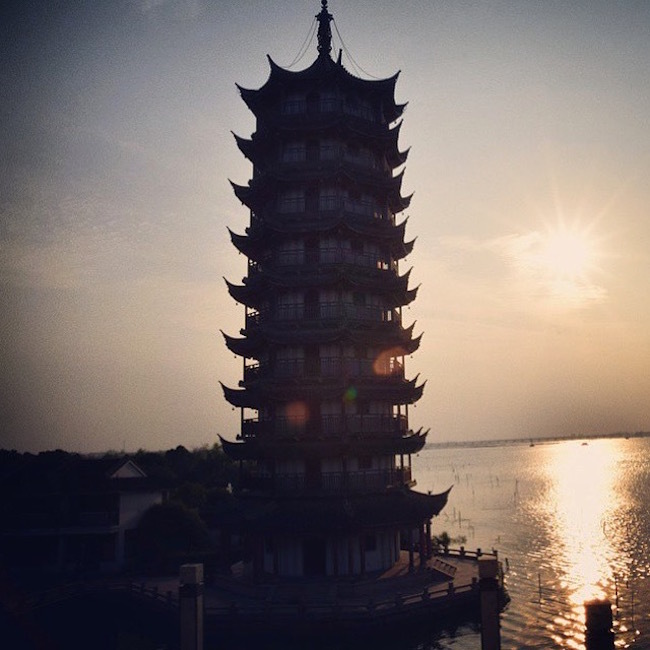 If you are not into the big city scene or want to explore smaller towns filled with history around Shanghai, then Wuzhen and ZhouZhuang would be the perfect place for you to visit! 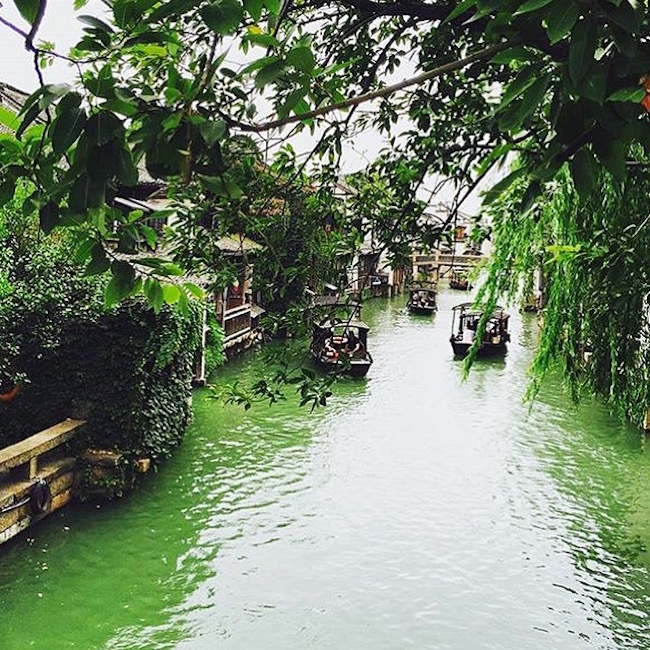 Wuzhen Water Village has two zones that are open to tourists: Wuzhen Dongzha (East Scenic Zone) and Wuzhen Xizhan (West Scenic Zone). Both zones require admission fees and are charged separately. 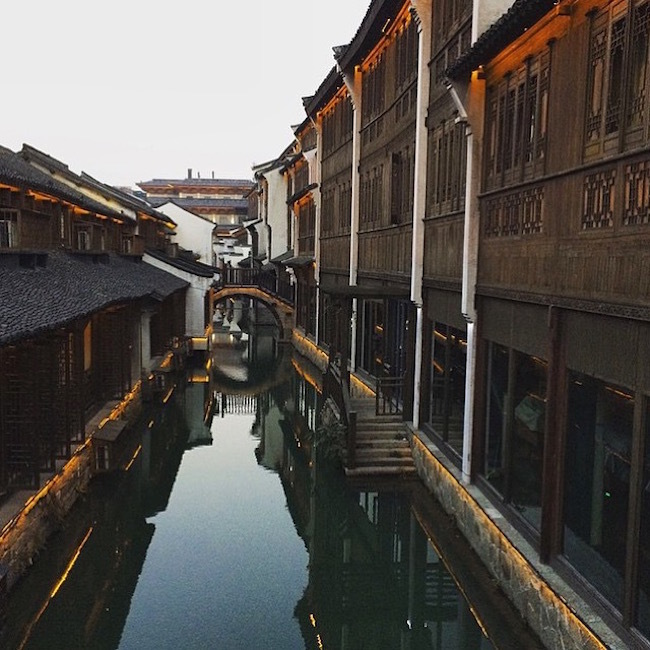 East of Wuzhen is full of sights and tourists and West of Wuzhen is more released and restored with boutique hotels! Indigo dyeing workshop for fabric production- where elderly can be seen hand-prepping popular motifs from the Qing Dynasty to be made into rolls of cotton textiles! One of the corner streets! The famous "love" temple! - where you at hubby? 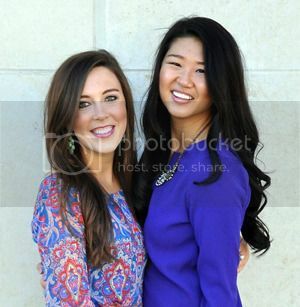 My sweet cousin and I! Shadow plays: is a huge part of China's history and a traditional art from. It is a from of entertainment created by projecting the shadow of handmade figures onto a big screen. It is accompanied by traditional Chinese music and is worth watching! - so fun! Huagu Opera: Local drama that portrays rural life through stories and music with traditional Chinese costumes. Huagu is sung using the local dialect! Martial Arts performance & Bamboo Pole climbing: Both very unique to the Wuzehn county. For sure worth watching! 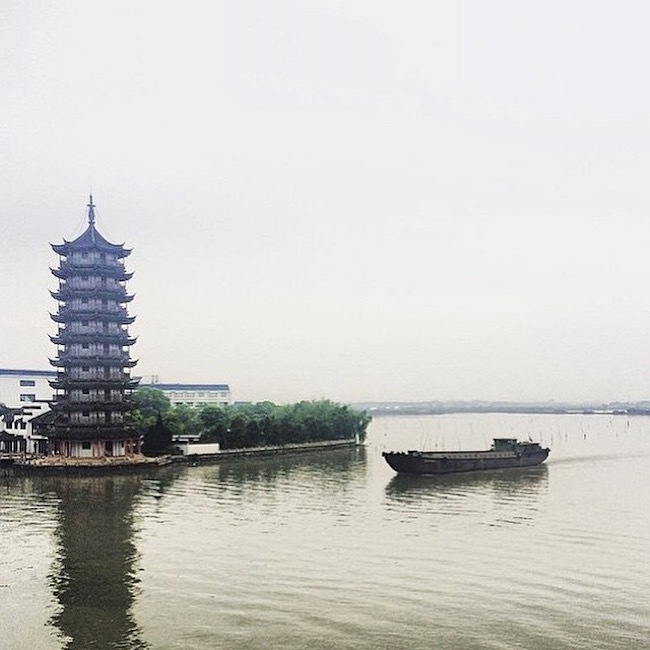 The west area offers a much better experience than East Wuzhen. 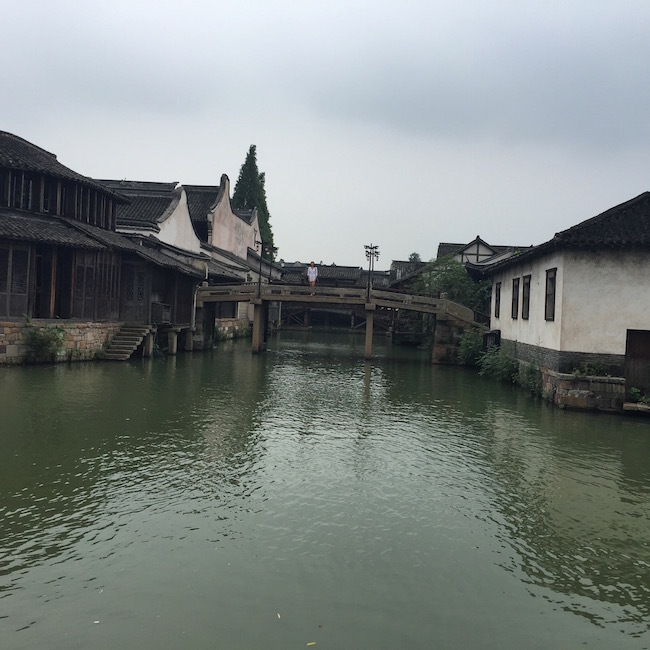 West Wuzhen is quieter, less crowed, less touristy, and more space to explore. 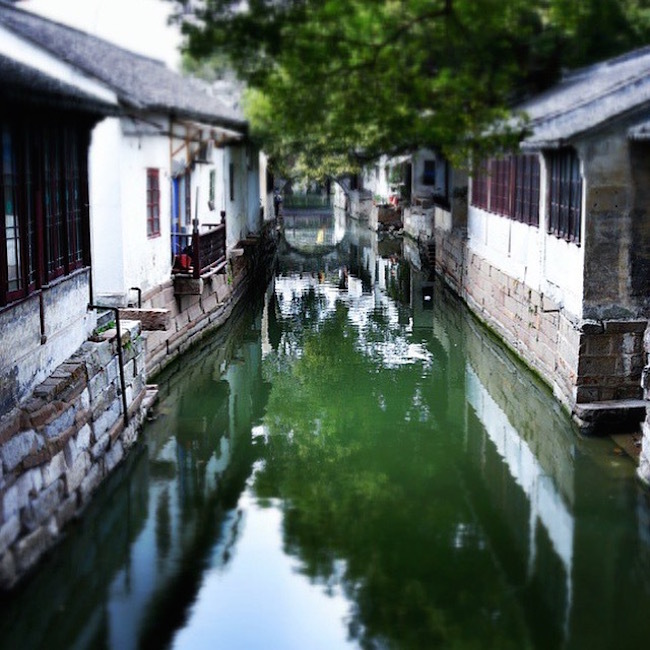 West Wuzhen has a similar layout to East Wuzhen with a main waterway and streets on both side, however, the streets are a lot longer and it has more side alleys, bridges, and a secondary waterway! 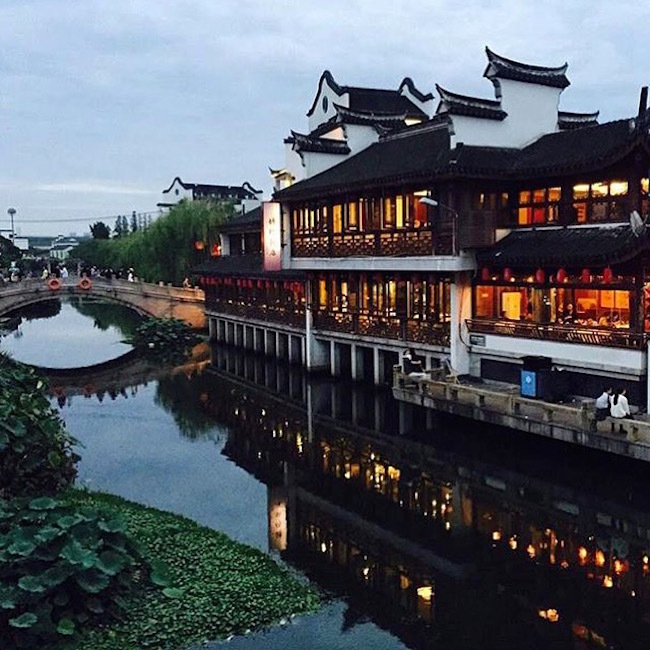 The streets of West Wuzhen are lined with guest houses, restaurants, bars, craft & souvenir shops and it is beautiful at night time! 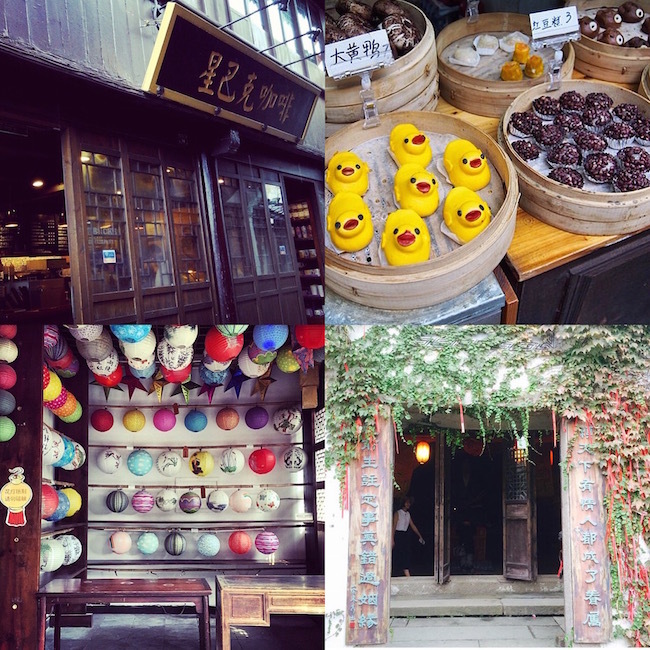 There are lot of streets in West and East Wuzhen, so make sure to explore every corner and go into any open room/direction, it is SO fun! :) Don't be afraid about getting lost- there are signs everywhere with English translations on them! Also try all of the snacks they sell on the streets - they are very traditional and you will not be able to find them outside of the touristy sights! 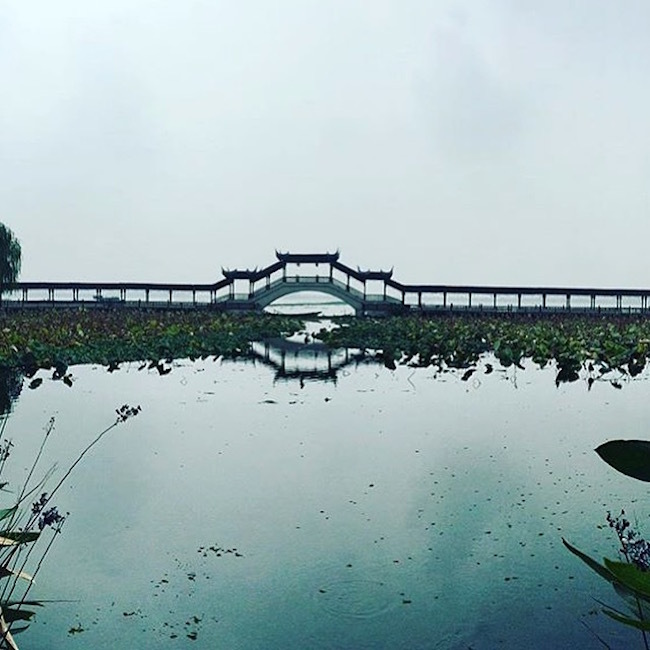 Once you arrive at the Wuzhen West Scenic Area, you will be able to travel freely - there are buses to the East Scenic Area (if you show them your admission ticket you can get on to the bus for free!) and Taxis as well! 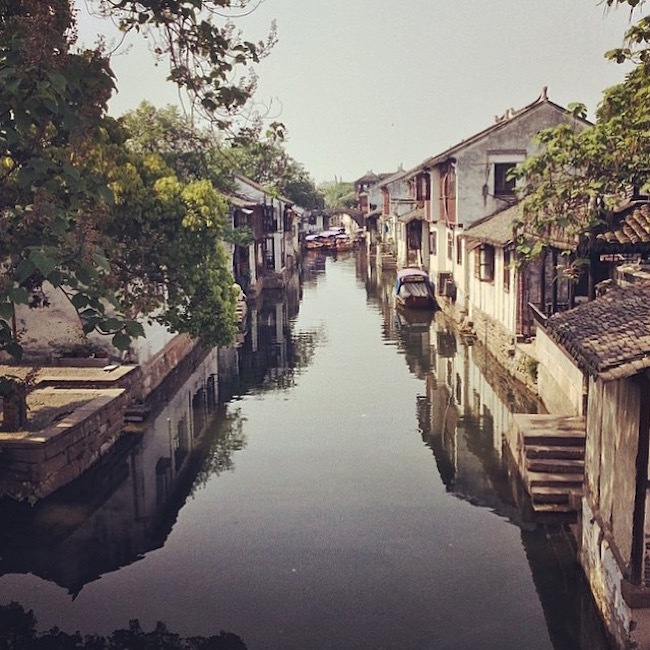 Wuzhen is fairly small, so it's not hard for you to commute form one side of the town to the other. Hotels located on Wuzhen East are simple and cheap - RMB 130 for a double room, or RMB 250 for a canal facing balcony room. Wuzhen West's hotels are mostly operated by private resort - RMB 350 for a double room, or RMB 550 with a canal facing balcony. I stayed in a nice local hotel on the East side and it was a very pleasant stay! *Additional tip: because Wuzhen is so small, most hotels do offer free transportation from the bus station/where you are at to the hotel! Small town perks! 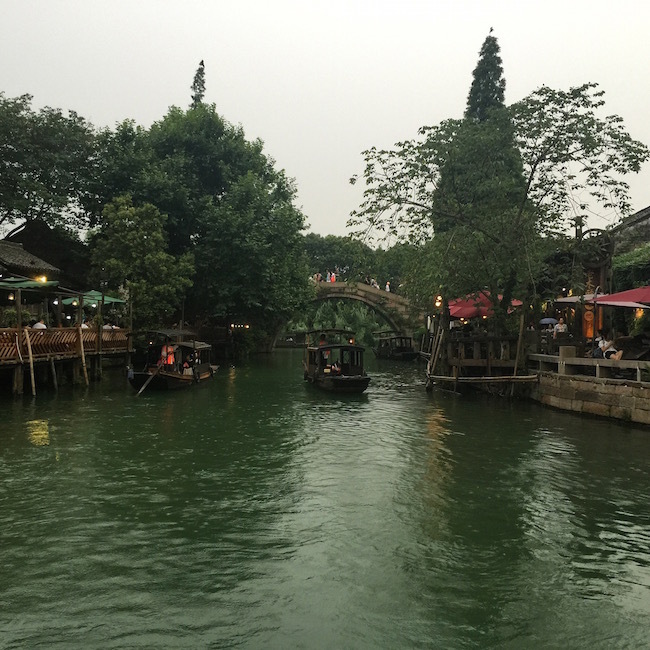 *If you do plan on making this a day trip, I would suggest you to explore East Wuzhen during the day time and West Wuzhen during the night time! You can also buy a bundle admission ticket for both attractions for a cheaper price! 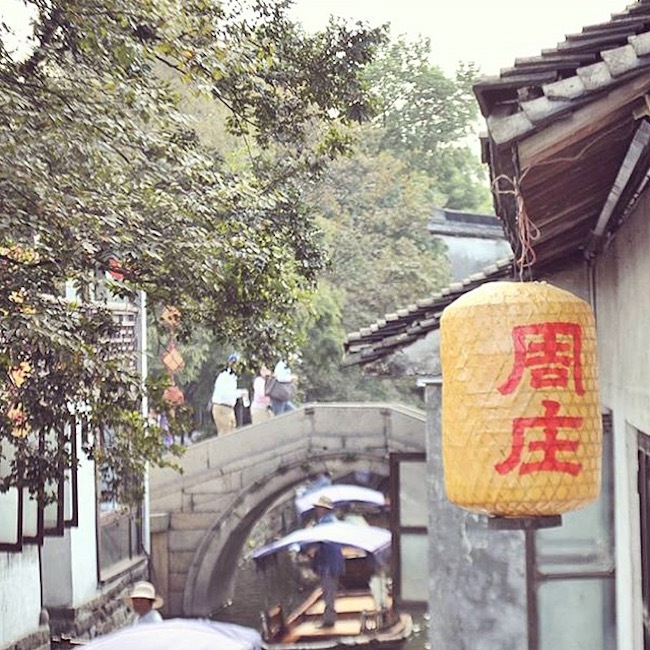 The yellow lantern says "Zhounzhuang"
Zhouzhuang is also one of the six most famous Watertowns in China! 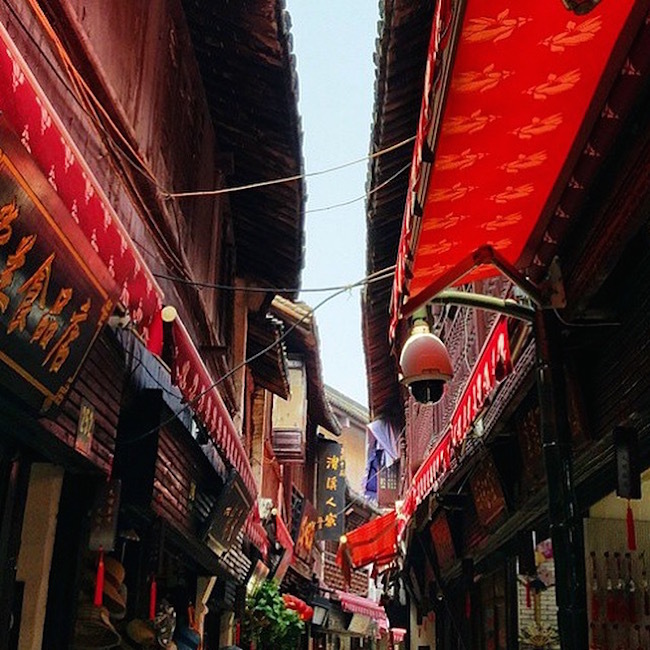 Zhouzhuang has a profound cultural background, well preserved ancient residential houses, water views, and additionally features the traditions and customs! Zhouzhuan is surrounded and divided by rivers - 14 stone bridges cross the rivers, all showing fantastic views of the water-town. 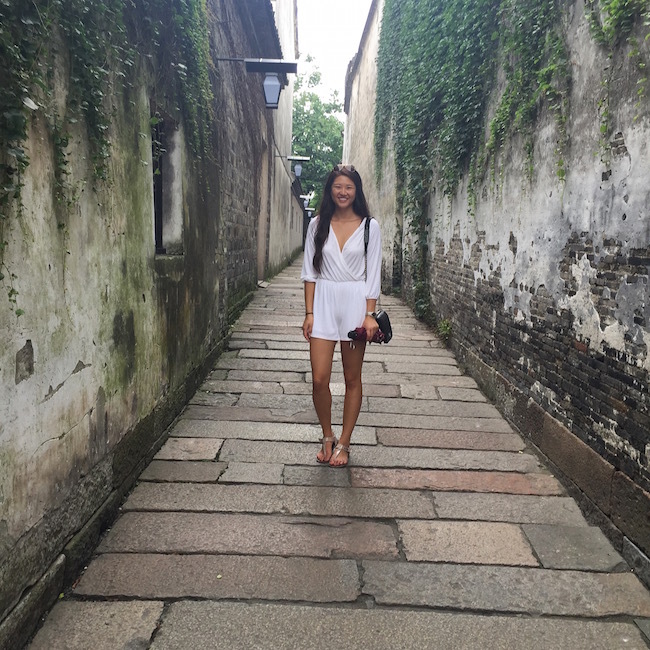 It takes about 1 hour and 30 minutes to get from Shanghai to Zhouzhuang! 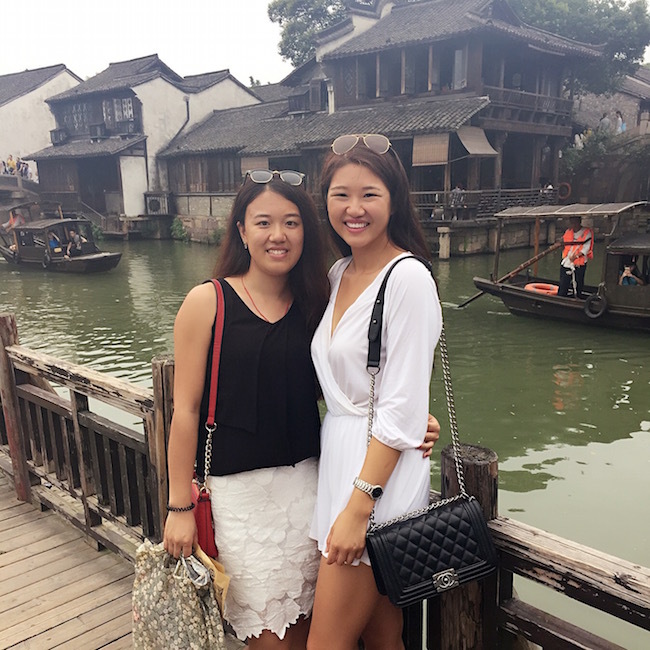 Twin Brideges: Comprise Shide Bridge and Yongan Bridge and it is the most famous symbol of Zhouzhuang. It was built in the Ming Dynasty. Fuan Bridge: Located at the eastern end of the town. It was built during the Yuan Dynasty. 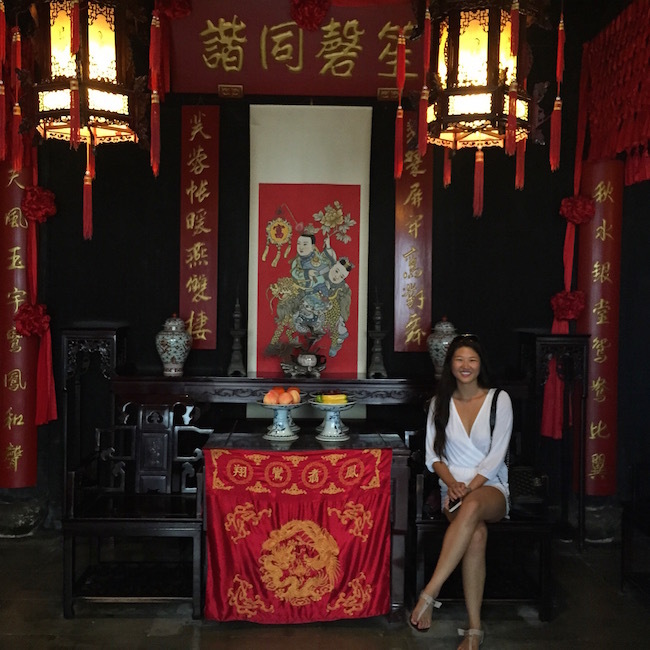 Shen House: Shen House was the private property of the first millionaire of the South Yangtze River in the early Ming Dynasty. Milou Tower: It is famous for being a rallying place of the liberators in old times! There are numerous well known poets, songs and tore about Milou Tower, which makes this a must stop designation! Chengxu Toaist Temple: Was built in the Song Dynasty and also known as Sanctity Hall. This is one the most famous Toaist temples in Wuzhong Region. These sight-seeing sites are just a little part of the attractions of these water towns! 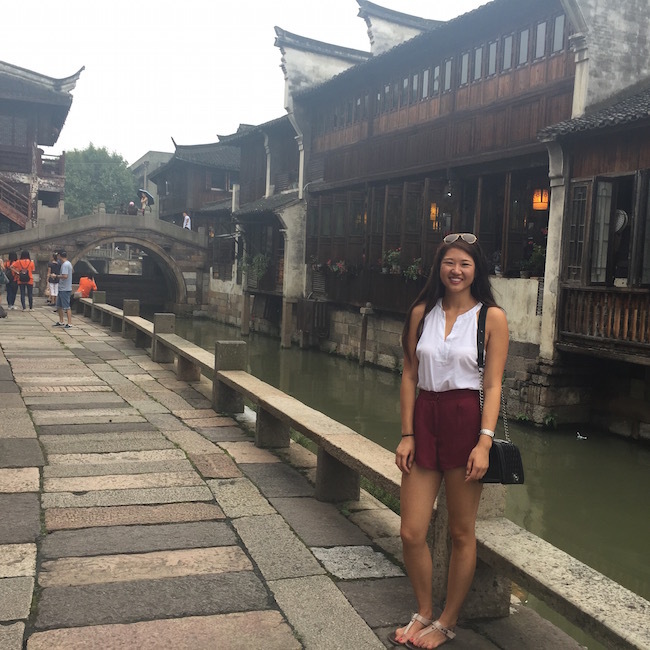 I love exploring smaller towns of China, especially the ones that have so much history and traditions still remaining within the towns. 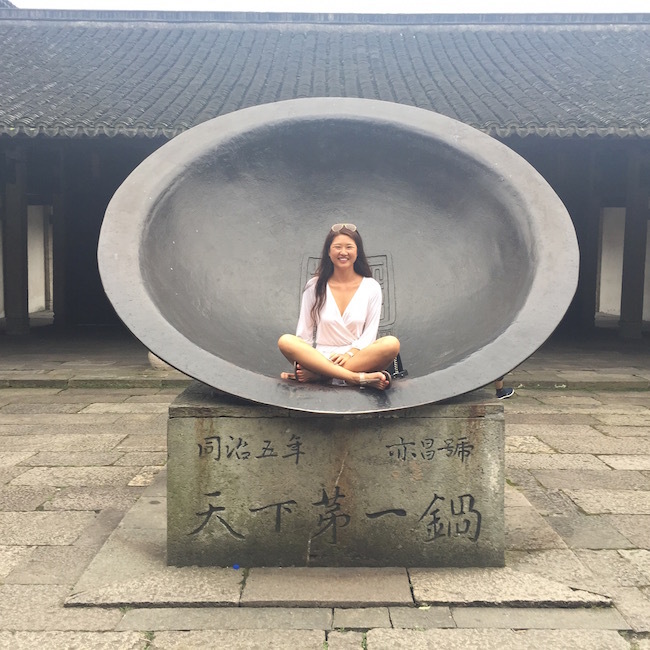 I am such a dweeb when it comes to traditional customs and have always loved learning about the history of each Chinese culture! 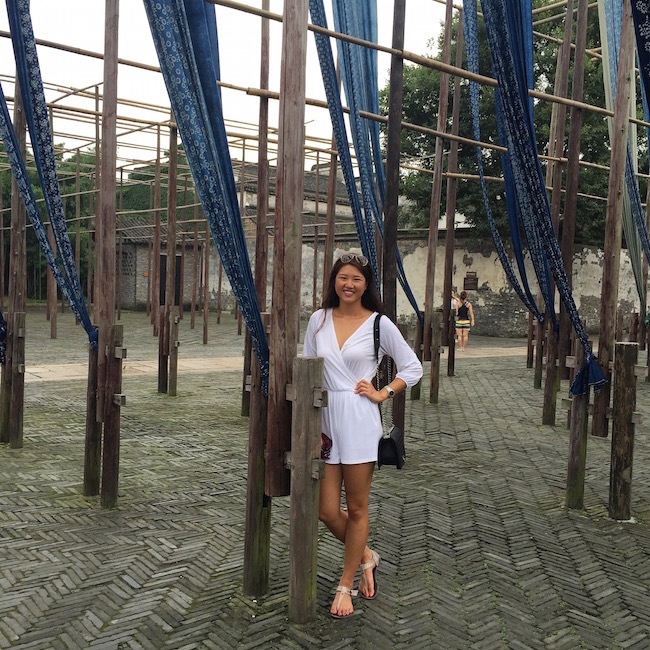 *Side note: I will be blogging about Hangzhou and Suzhou next! 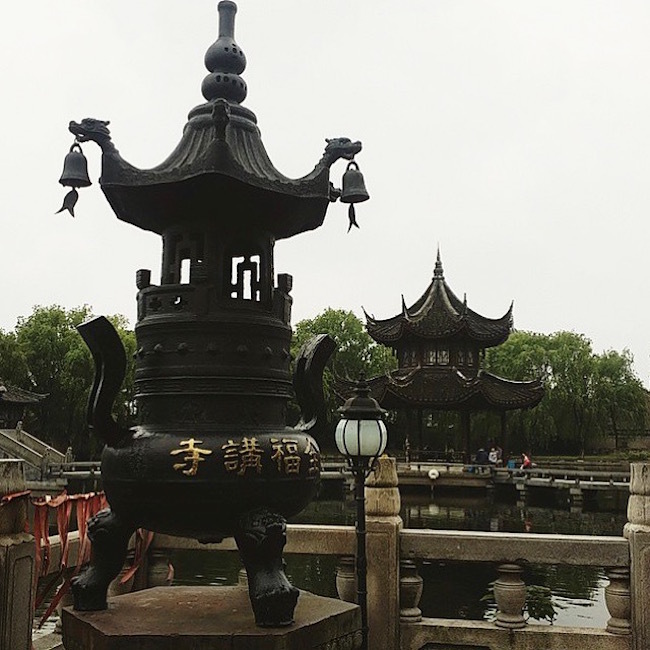 It depends on your travel schedule/plans, but maybe it will be easier for you to go to Wuzhen from Hangzhou since it only takes about 50 minutes by bus from Hangzhou to Wuzhen. 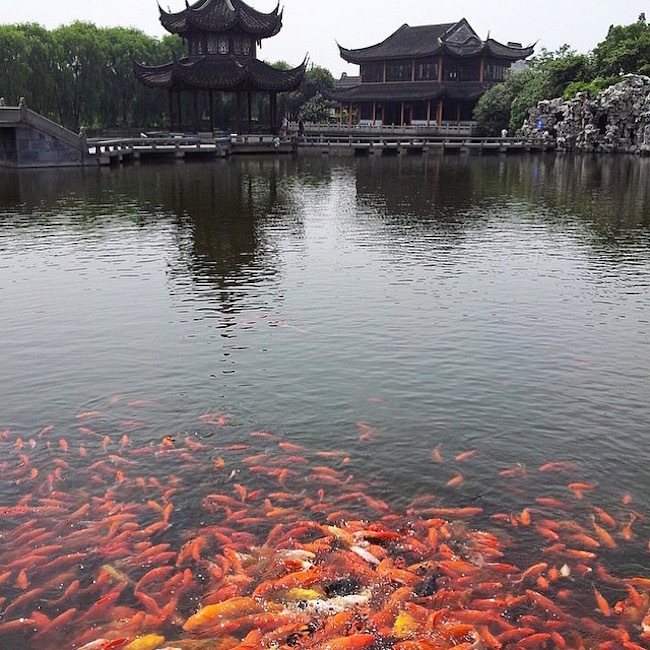 -Shouzhuang is closer to Suzhou. Also - sorry about the awful picture resolutions - my iPhone was a poor choice.